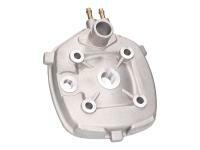 OEM Minarelli Yamaha LC style Replacement cylinder head for 50cc Minarelli LC cylinders. 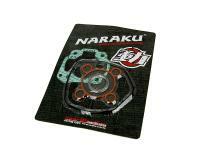 For use with the Naraku item Minarelli Naraku 50cc Cylinder Kit for Minarelli Horizontal Liquid Cooled Scooters Item Nr.:NK101.13. 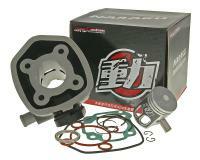 One of the most popular engines for Yamaha style 2 stroke Liquid Cooled European bikes in the late 90s and early 2000s it was the engine of choice for racing Aprilia SR50, Benelli 491, Malaguti Phantom F12, Malaguti F15 Firefox, Italjet Dragster, NBK Nitro, and the extremely popular Yamaha Jog and Aerox 50cc LC. Check your vehicle under the application list.